If youve ever noticed unusual noises coming from the walls or floors of your home, youll know what an unnerving experience it can be. 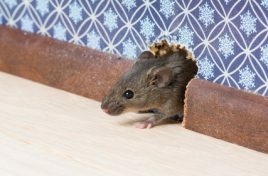 Scratching, scuffling and scrabbling noises can all be pretty terrifying, suggesting anything from loose building materials and leaky pipes to a full-blown pest infestation. It can soon drive you round the bend unless you get it checked out. The only problem is  how do you actually get inside your walls to take a look? You dont want the mess and expense of ripping plasterboard off the wall, especially if you have no idea exactly where the noises are coming from. You could end up ruining the walls and décor in many parts of your house, still without pinpointing the exact location of the mysterious noises. If you call in a specialist (and that itself can be problematic if you dont know the cause of the sounds and therefore dont know which kind of expert you need), they may be just as flummoxed as you are and spend just as much time trying to identify the cause and location of the sounds  all of which will cost you money. The smart thing to do is to make use of technology to quickly and easily locate the source of the noises, to gather some information about whats happening and where before you take any action. A listening device can save you from needlessly damaging your property, as well as saving you both time, money, mess and of course, hassle. Using a listening device, you can investigate the possible locations of the noise and narrow it down to a far more specific area. As these devices offer exceptional sound quality, clarity and accuracy on many surfaces, you can also identify the exact kind of noise  be it squeak, drip or rustle. Armed with this information, you can then bring in a professional to deal with the problem and be able to tell them exactly where and what is happening. This could save you a small fortune in costs arising from exploratory work a professional would need to do. Noises in the wall can lead to your mind playing tricks on you, as you suspect the worst. If your imagination is running wild and its keeping you up at night, the ability to gather some real information on whats happening via a listening device can make you feel much better. As well as eventually leading to the resolution of the problem for good, a handy tool like a listening device in up your sleeve can also offer great peace of mind in the short-term. No more nightmares about armies of insects in the walls! How do listening devices work? Listening devices work by converting vibrations within the wall into audible sound. When held against the wall, the ceramic contact of the device is sensitive enough to pick up the very softest of vibrations. These are then converted into audio, with the use of a powerful acoustic amplifier and a fine tuning filter you can adjust to your liking  just like youd focus the lenses on a telescope or binoculars to give you a more defined and focused view. This ensures that the sound is both clear and defined enough for you to accurately identify the cause of the noises youve been hearing. Many listening devices also come with an audio output socket, which means that you can plug in a voice recorder and record the sounds the device picks up. This can be very useful if youre struggling to identify the sound and need to listen back, or have a professional listen to the sounds and give you their opinion. One important benefit of this recording feature is its application to tenants in rental properties. 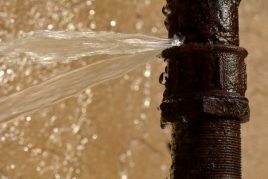 If youve been kept awake by noises in the walls, you suspect a pest infestation or youre concerned that there is a serious leak somewhere  your first port of call will be the landlord of the property. Sadly though, not all landlords are as diligent as they should be, so if youre not being listened to or taken seriously then your device can provide your landlord with all the evidence they need to finally take action. You might think that a listening device is bound to work more effectively on thinner walls. However, the opposite is actually the case. Professional listen through walls devices are designed to work much better on thick, solid walls that are as much as 12 inches thick. The devices dont actually work very well on cavity walls, but at least these spaces allow some access for problems to be investigated. Listening devices can also listen through panes of glass and windows should you require it. If you have noticed noises in walls in different parts of the house, the last thing you want is to trailing power and extension cords everywhere, nor is it convenient or practical to be plugging in and unplugging your listening device all the time. This is why it is recommended to choose a wireless device such as those at Online Spy Shop which are powered by a long-lasting lithium battery, lasting for at least 24 hours. Many devices are also very compact, which makes them easily portable  these are definitely the ones to go for, especially if theres a tight angle or an awkward alcove you need to squeeze a listening device into. 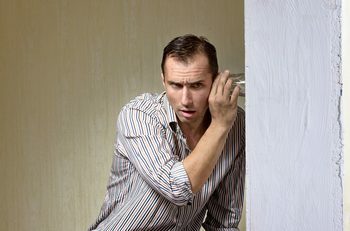 As an added bonus, if you have a friend or family member complaining of similar noises within their walls, you can simply pop a small, portable device in your bag or even your pocket and do some investigating there too.